Back In Time is the third in Swing Republic’s series of EP’s featuring four brand new songs, as the band gathers material for their fourth studio album, due out later in 2018. 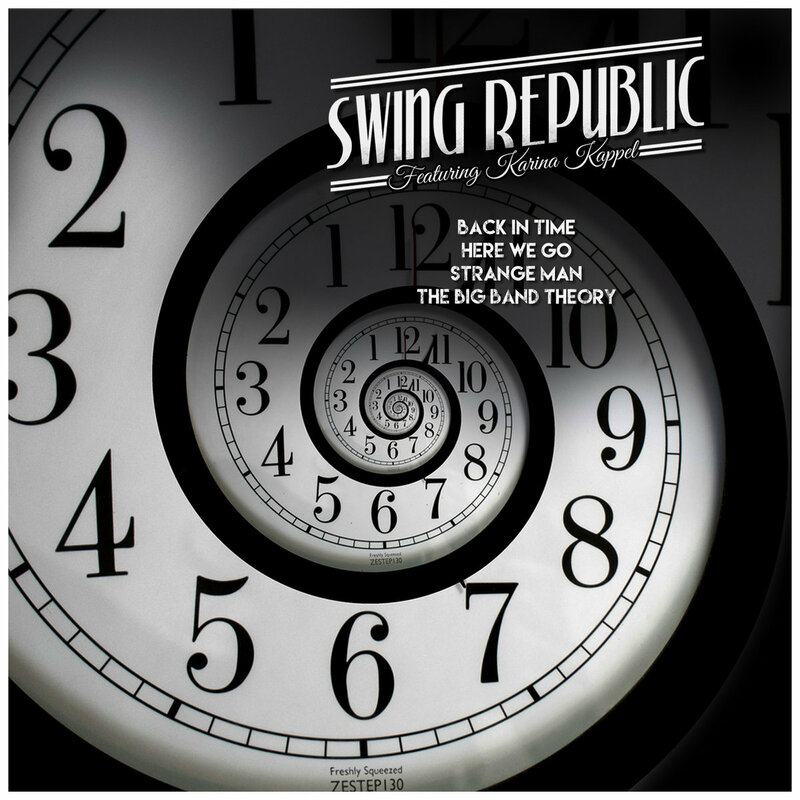 The release of Long Legs in January 2018 saw Swing Republic produce a record that managed to strike a delicate balance between contemporary electronic music and vintage swing influences. On Back In Time, the line is made even thinner with the increased emphasis on vocal performance and delicate instrumental passages. Smooth melodies, vocal harmonies and instrumental passages, both familiar and new, carry the weight of Back In Time’s club-ready production with an ease that makes the final result seem like the natural extension of an age-old tradition. Saxophone solos dance on top of sampled drums, rapid-fire vocal scats follow atmospheric padding synths surrounded by traditional jazz-based instrumentation – all serving the singular purpose of making you dance.Swing Republic was born as the side project of a platinum selling Danish songwriter and producer, Per Ebdrup. In love with the sound of swing, Per remixed old and obscure vintage gems in his spare time as a freelance composer. These tracks would eventually be brought together in Electro Swing Republic (2011) which was one of the first complete electro swing albums ever released. The second album Midnight Calling (2013) saw the introduction of vocalist Karina Kappel and featured the massively popular Crazy In Love version that has notched up well over 4 million plays on Spotify alone and even higher numbers on YouTube.